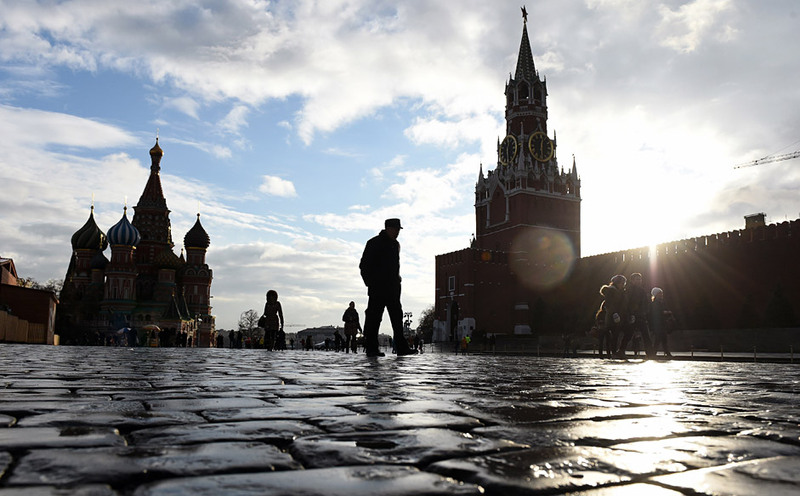 People walk across Red Square, with the Kremlin's Spasskaya (Saviour) Tower (R) and St. Basil's Cathedral (L) seen in the background, in central Moscow on December 22, 2015. The temperatures in the Russian capital reached today 6 C (42 F).